Our everyday offer includes the following brands: Stipula, Waldmann, Scrikss, GoldenHead, Esquire, Pierre Cardin, Helveco, Castelijn & Beerens, Waterman. Representing the absolute world leaders is a great honour, but also a great challenge. Can you improve what is perfect? We prove that it is possible. When preparing an offer for a particular client, we provide solutions emphasizing the uniqueness of the occasion and the importance of the person who is to receive the gift. Creativity, market knowledge and experience allow us to make custom actions in cooperation with the world’s best brands. 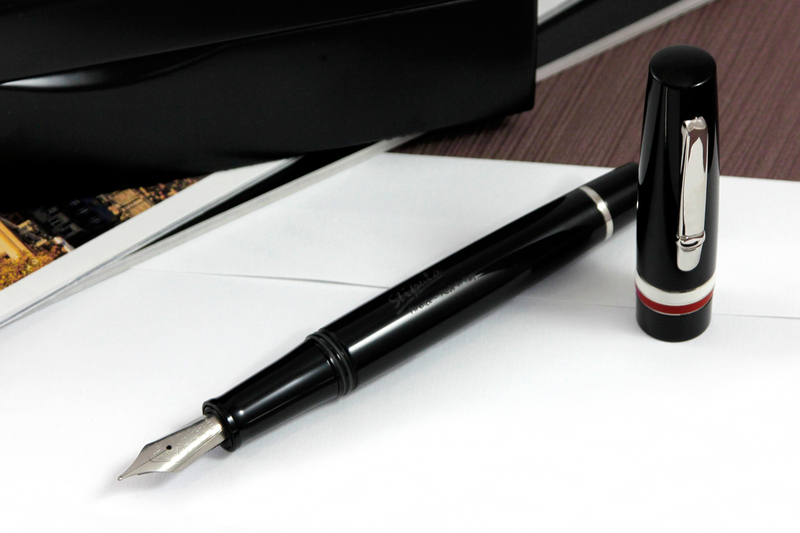 One example may be the highly respected and popular among customers limited edition of Stipula and Waldmann fountain pens with the Polish flag. Uniuqe fountain pen made by Stipula to match special moments. Designed and crafted in Renzo Salvadori’s workshop. What makes it special are two rings in colors of polish flag placed on the clip. On the occasion of the presentation of the Shroud of Turin in Turin, Italy, in the spring of 2010, the Stipula Academia line enriched its collection with a unique and evocative product. The project was designed to celebrate the symbol of Christianity, the Shroud of Turin, which triggers imagination and is still shrouded in mystery. The fountain pen, made of solid silver, has been made by hand from start to finish and presents the typical structure of the walls of the tomb, which was built in ancient times. The analysis of the impressions visible on the surface refers to the forms that can be found on Roman coins, called “dilepton lituus”, from the time of Tiberius. Both sides of the coin are made of bronze and placed on both sides of the pen’s cap. The fountain pen nib is made of 18-carat white gold. The limited edition includes 99 pieces and is presented in a special transparent container with the pen wrapped in linen cloth. From the beginning of our cooperation, Waldmann designers and craftsmen, together with representatives of NOVA, set the goal of creating a pen ideally referring to the Polish national symbols. This is how the unique, limited edition model was created – in 250 pieces. To celebrate the 125th birthday anniversary and the 70th death anniversary, the year 2007 was declared by the Polish Sejm as the Year of Karol Szymanowski. In honour of the famous composer of international renown, NOVA in collaboration with Waldmann created a unique fountain pen. The barrel and cap are made of solid silver of the highest sample 925. Part of the barrel is coated with black lacquer. 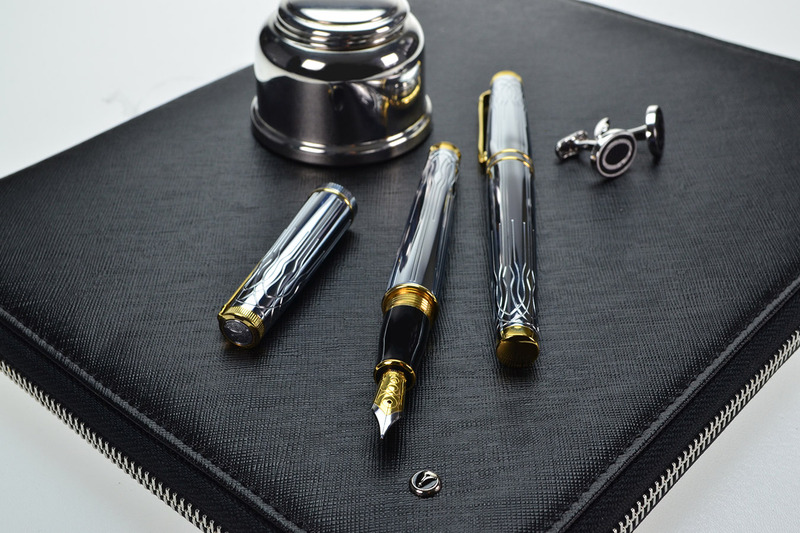 The fountain pen is equipped with a piston and a nib made of 18-carat gold. The pen is enclosed in an elegant wooden box. The set also contains a CD with one of the most outstanding works by Karol Szymanowski, the ballet “Harnasie”, and an ink cartridge. 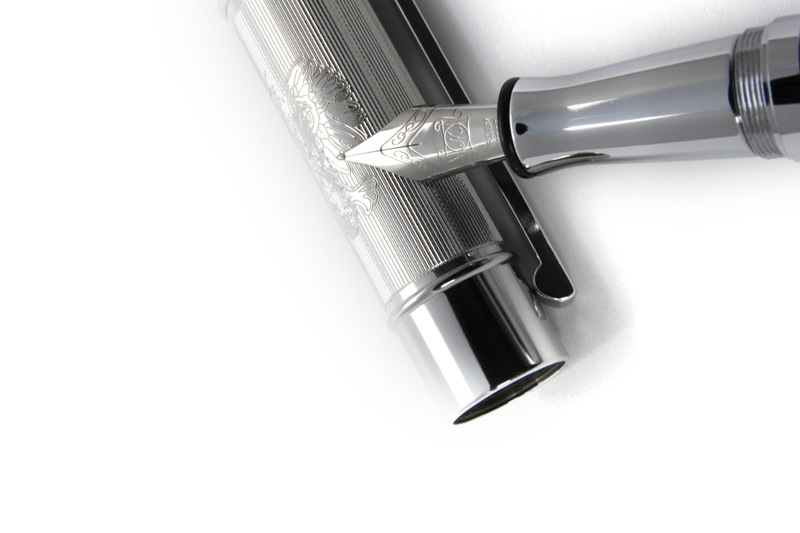 To emphasize the uniqueness of our national symbols, in 2011 NOVA developed a limited edition of the fountain pen. The cap is made of silver sample 925, the evenly embossed, fine net pattern on the barrel perfectly contrasts with the glossy black lacquer of the lower part. Along the clip there is a specially designed space for engraving. The top of the pen is surrounded by white and red rings referring to the colours of the Polish flag. The top of the cap is engraved with an eagle. 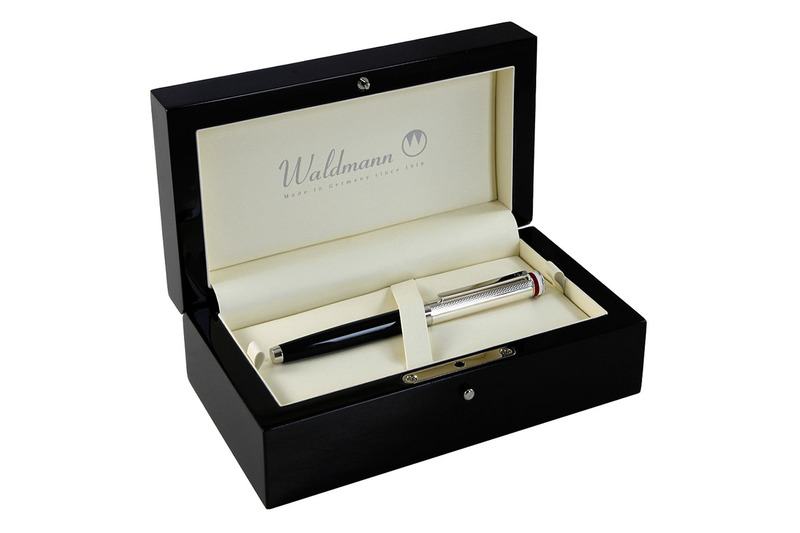 The fountain pen is enclosed in a black, elegant, wooden box. NOVA, in collaboration with Waldmann, can also design unique, individual collections. A limited collection of 17 pens, of which 2 were used for the seventeenth finale of the Great Orchestra of Christmas Charity (WOŚP). 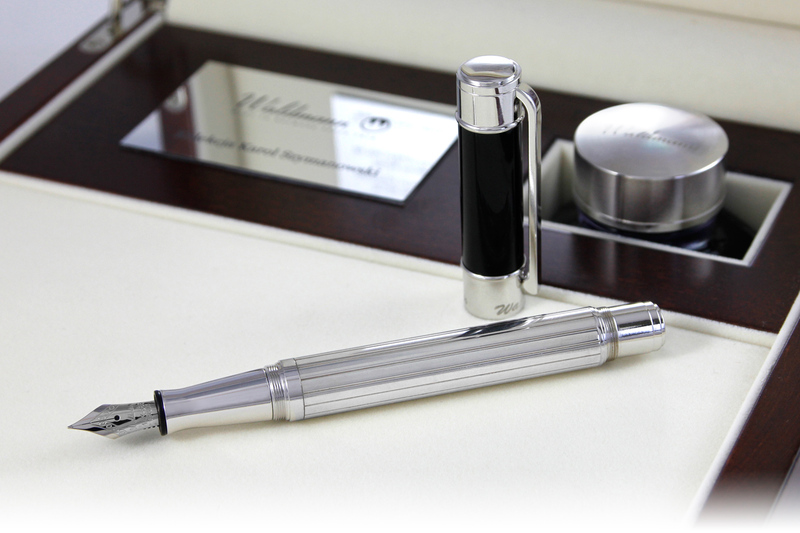 The barrel and cap are made of solid silver sample 925, the whole pen is coated with black lacquer in a fancy design. The ring is engraved with the name of the Great Orchestra of Christmas Charity, on the opposite side there is the number of the pen. The nib is made of 18-carat gold. Piston filling system with ink. 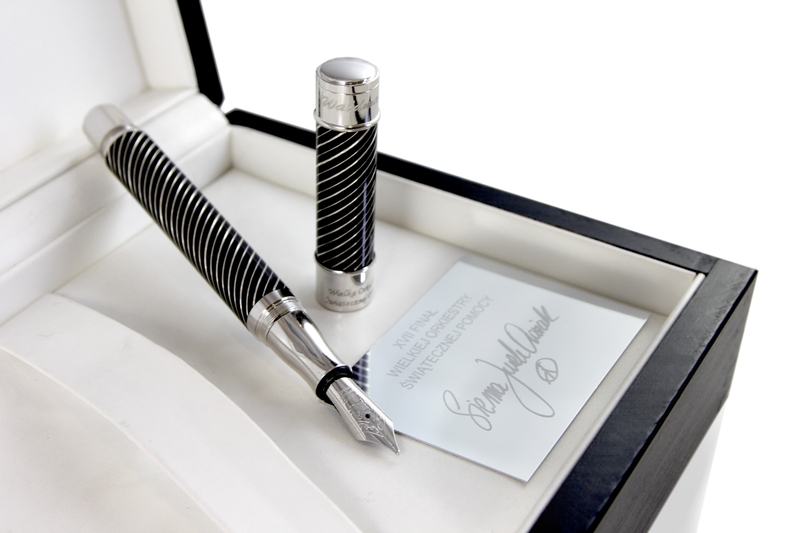 The fountain pen is enclosed in a large wooden case with a plaque engraved with the signature of Jurek Owsiak. 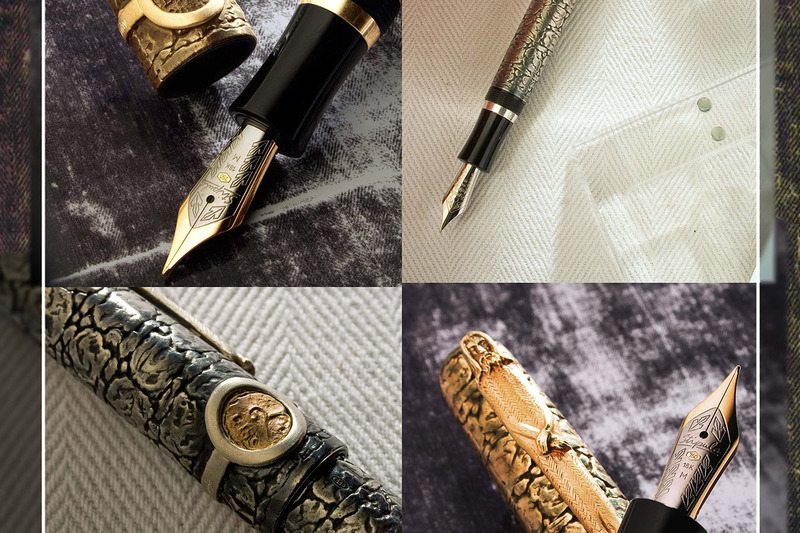 A special limited edition of fountain pens – 200 pieces. The cap and trims are made of silver sample 925. The barrel is coated with black glossy lacquer. On the cap, on the opposite side of the clip, there is a mechanically engraved eagle, which occupies a large part of the surface of the cap. Stainless steel nibs with iridium tips. NOVA, in collaboration with Waldmann, can also design a unique, individual collection. To commemorate the Amber trade route’s significance for the cultural and economic heritage and unity of Europe, NOVA and Waldmann designed a unique line of fountain pens. The cap has been manufactured using sterling silver (925) and is complemented by the striped body decal, contrasting the shiny black barrel. The tip of the cap and box are decorated with a piece of Baltic amber, while the tip of the barrel has been engraved with an image of an eagle. 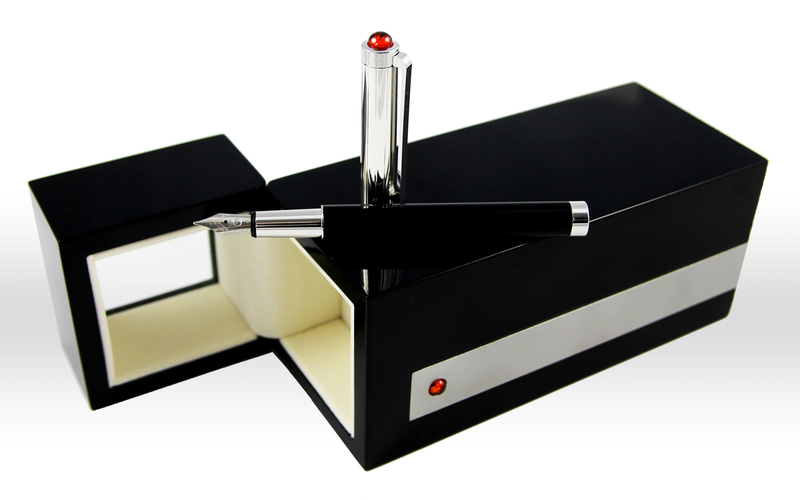 The limited edition pen (only 500 pieces) comes with an enameled piano-black box with a hinged lid. To celebrate the 50th anniversary of the company, Scrikss created a unique collection. HERITAGE is a fountain pen and a rollerball pen. The project was created by Kunter Şekercioğlu, and the patterns on the products are inspired by the design popular in the 1960s. HERITAGE is inspired by the city of Istanbul, where the company was founded in 1964. The lines forming the pattern refer to the ancient aqueducts that used to surround the city. 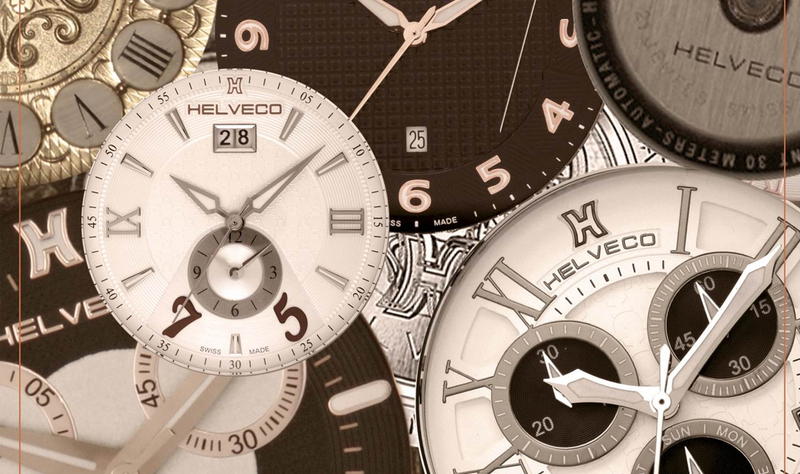 HERITAGE is a universal, timeless collection, which will be in use for the next century. Perfect for enthusiasts and collectors. We have been working with our customers and suppliers for many years, creating unique gifts and combining timeless symbolism with high-quality products. 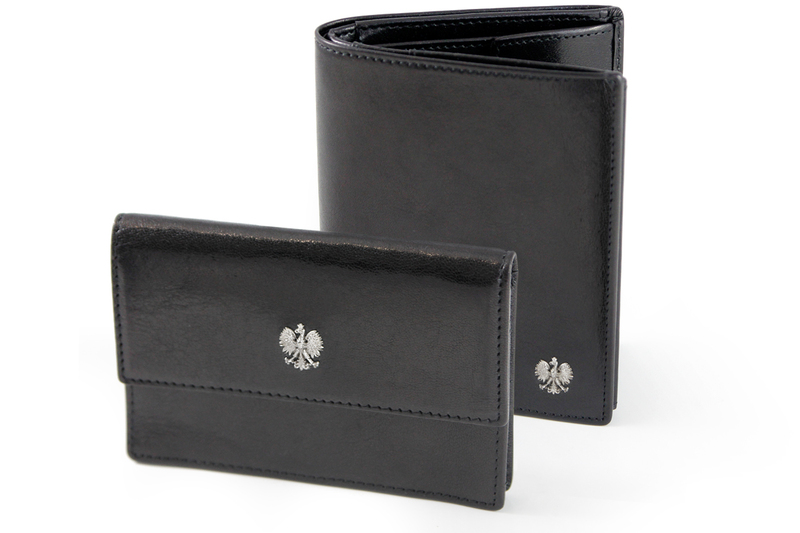 One example of such cooperation is the wallet with the emblem of the Polish Republic. 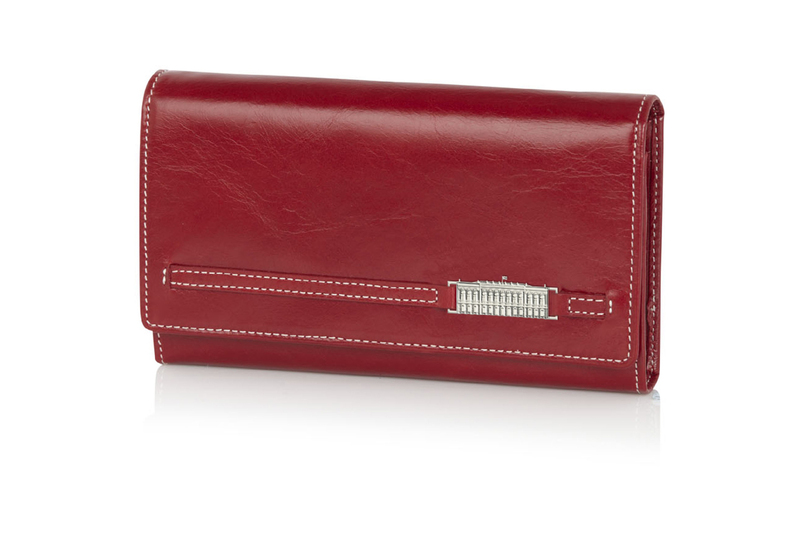 The C & B purse from the Furore collection was made on special request of our leading client. The sign showing one of the symbols of our country was made in Poland. 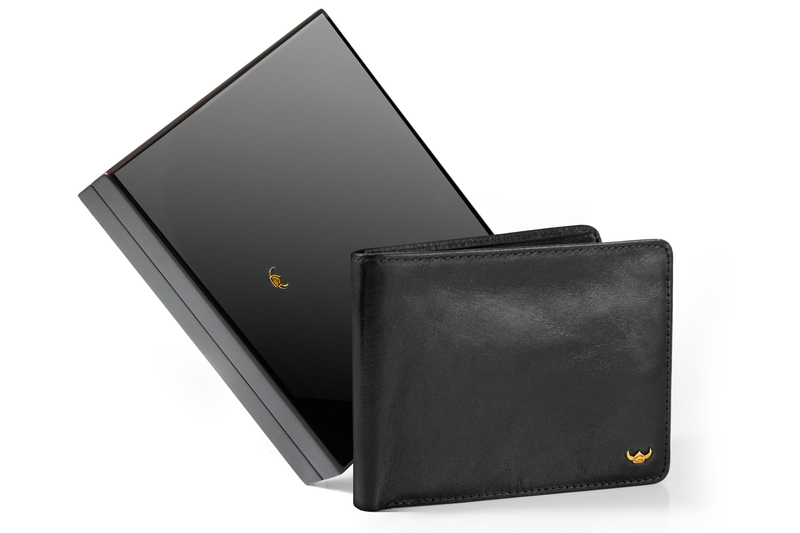 The collection of exclusive Golden Head wallets created from high quality genuine leather, hand coloured in two shades. The limited edition is distinguished by a logo made of 14 carat gold and a 30-year warranty with a certificate signed personally by the company owner. 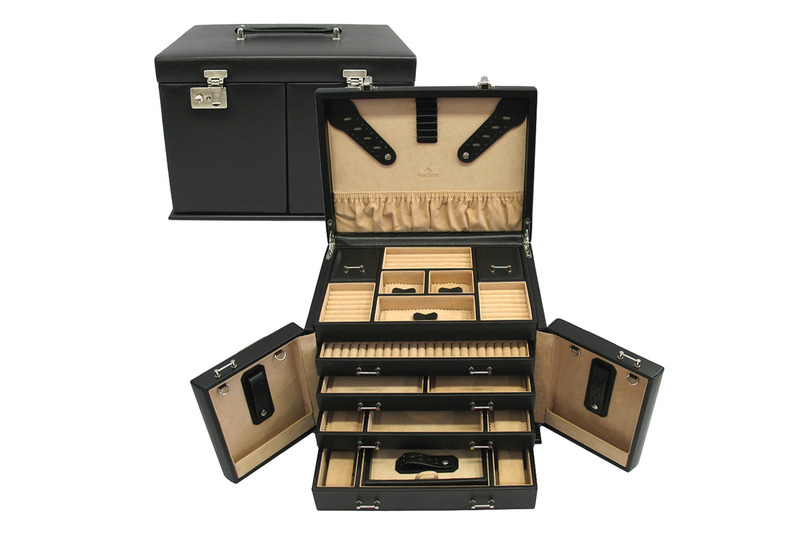 This wooden jewellery box is covered with genuine leather and has a lid with two locks. Created in Germany, it is characterized by the highest quality of workmanship and great attention to detail. Ideal for those who like to have order in their jewellery collection. – 3 drawers, each with several compartments for rings, earrings, necklaces, watches, etc.